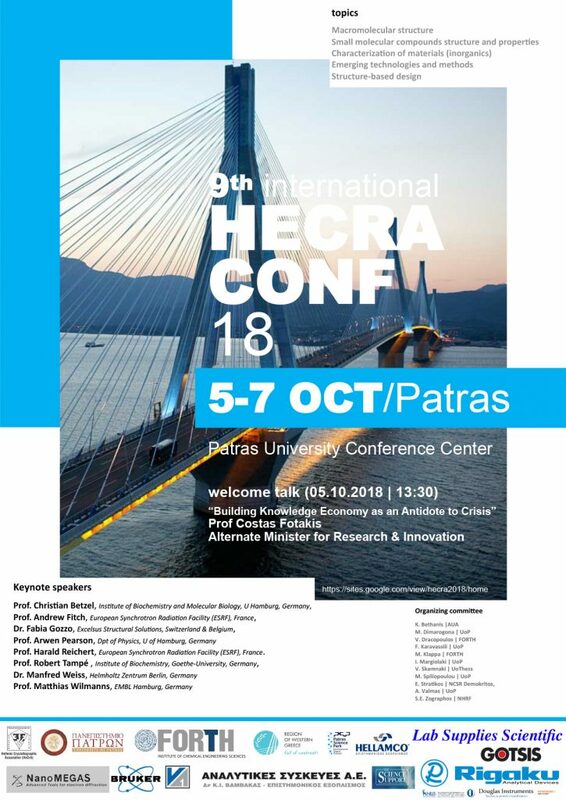 Hellenic Crystallographic Association, University of Patras, the Foundation for Research and Technology and Patras Science Park are co-organizing the 9th International Conference which will take place in October 5-7, 2018. Our company has the pleasure to be included in the sponsors of the conference. You will have the opportunity to get more information about our company and the products we promote, since we will have a booth with marketing material about our products.